This week’s student interview is with Fabio from Italy. 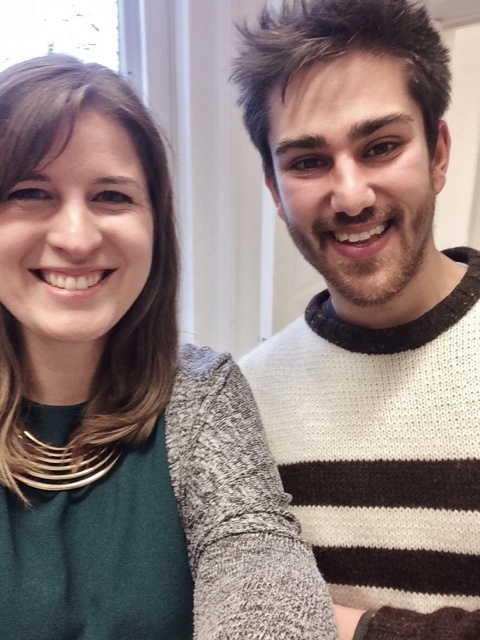 Fabio sadly finished his course last week, but we managed to catch up with him before he left! How old are you and which course are you studying? I’m 26 and I am studying on the English 25 hours course. I am from Cesena in Italy. Cesena is close to Rimini, which is a very popular holiday destination, and about 50km from Bologna. I would recommend you to visit Italy, especially the region of Puglia in the south! What did you do before you came to Select English? I was working in a factory, working with machine parts. And what do you want to do in the future? I would like to own my own factory, but at the moment I am interested in many different sectors of engineering and I haven’t found my path yet! Or, I would like to travel around and supervise engineering projects. Have you enjoyed your course? Yes, I have enjoyed it and my English has improved. When I arrived 2 months ago, my English was very very poor, but now it’s much better. I have wanted to study English since I graduated from university one year ago. I have been working for a year to save up enough money to pay for a course. I studied English at school, but the lessons were not so good and I was not very interested when I was younger – but now I want to learn! Yes I do, but it is a different lifestyle to Italy. At first, I didn’t know many people, but now I know lots of people. When you have lots of friends, it doesn’t matter where you are! I like to go out for Chinese food – the Chinese food here is much better than in Italy. I like to try different types of food, but I haven’t been to any Italian restaurants because I don’t think they will be as good as the food at home. I also like to go to nightclubs Ballare and Lola Lo with my friends. Ballare has an International Student Night every week.